This entry was posted on October 9, 2012 by Paul. 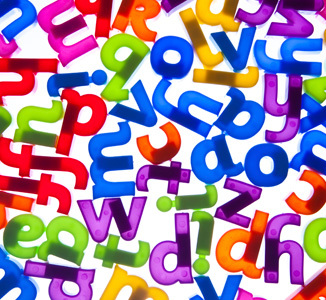 It’s estimated that around two million people – almost 7% of the UK workforce – are severely affected by dyslexia. Many more display some dyslexic tendencies. WorkRite’s online dyslexia screener, developed in conjunction with our assistive technology partners iansyst, offers a quick and convenient way for employers to identify individuals who may show signs of dyslexia. The online nature of the screener enables individuals to complete the program when and where they choose. There’s no need to wait or travel to an appointment and very little disruption to productivity. The program focuses on six key areas – background information; visual sequential memory;, auditory sequential memory; nonsense words; spelling; and reading and comprehension – and generally takes less than 15 minutes to complete. At the conclusion, a report is generated which shows whether or not there is evidence of a risk of dyslexia. This report helps employers to distinguish between those who are having general difficulties and those whose difficulties are likely to be associated with dyslexia. In addition, the report gives an overview of the employee’s strengths and difficulties – ideal for evaluating the support measures that may need to be put into place. If the report shows some evidence of dyslexia, the employer can then refer the individual for a full diagnostic assessment.